Abode to the Gods themselves, the Annapurna Himalayas boast of glorious scenery and are complemented by an authentic culture of various ethnic communities. With the pristine Himalayas alongside the indigenous people, the Annapurna region renders an insightful travelling experience. Located in the north central region, the Annapurna (8,091m) stands tall with fine chains of peaks around it. Beneath these great mountains lies the Annapurna Base Camp, carefully nestled on the foot of the majestic snowcapped ranges. The Annapurna Base Camp Trek is one of the most-loved trekking packages of Nepal and takes you to the heart of the Annapurna Himalayas. Likewise, the Short Annapurna Base Camp Trek is the shorter version of the trek and includes the majestic features of these colossal mountains. The Short Annapurna Base Camp Trek is one of the shortest treks available in Nepal. Nevertheless, it is a great opportunity to explore the beautiful region of Annapurna. In just 5 days, you will witness the reason why Nepal is known as a paradise on earth. The march towards the Base Camp runs through the glorious trails in the Annapurna Conservation Area. The journey also provides panoramic views of the peaks in Annapurna Hiunchuli, and Gangapurna ranges along with the Mt. Machhapuchhre (6997m). The peaks majestically watch over the dry trails that are surrounded by lush vegetation of dense: pine, rhododendron and bamboo forests. As you explore through the settlements, you come across the Gurung community where you can take a deeper insight into their lives. The culture and modest lifestyle of these people are sure to humble you. Their hospitality is even more remarkable and treats their guests in very high regards. The Short Annapurna Base Camp Trek is a moderately easy trek and is physically lesser demanding than other treks available in this region. Thus, it is suitable for all trekkers whether be a beginner or seasoned trekkers! As the trek only spans for 5 days, it is also perfect for those who want to experience the sublime nature of the Annapurna Mountains in a short time. The journey to the Annapurna Base Camp begins with a scenic drive from Pokhara to Kyumi, the trail-head of the trek. From Kyumi, you head northbound towards Chhomrong along the Modi River. Crossing the Chhomrong River, the trek reaches Sinuwa. Passing Khuldighar and Bamboo, you make way to Himalaya. Treading through bamboo, rhododendron, and oak forests, you reach the Hinku Cave, where a brief exploration can follow. Along the trail, you pass Deurali to reach the confluence of Modi and Machhapuchhre rivers. Steadily gathering pace of the trek, the trail ascends to Machhapuchhre Base Camp. The base camp is known to provide surreal views of the surrounding landscapes including the summit of the majestic Mt. Machhapuchhre (6997m). The trek reaches its climax at the Annapurna Base Camp west to the Machhapuchhre Base Camp and ensures delightful panorama of peaks like Annapurna I (8091m), Annapurna II (7937m), Machhapuchhre (6997m), Hiunchuli (6441m), and Annapurna South (7219m) among others. Retracing your steps, you conclude the 5-day affair with a drive to Pokhara. The best time to undertake the Short Annapurna Base Camp Trek is from March to May and September to November. From March to May, the trail towards the Base Camp is blooming with Rhododendrons, magnolia, and many other alpine flowers. The weather turns warmer and the sky is clear and you can pass through various colours of flowers and lush forest. The time from September to November is also considered as one of the peak seasons for trekking as the weather is moderate. During these months, trekkers all over the world trek to Annapurna Base Camp because of the amazing weather. The skies are a lot clearer and the wind speed is at its lowest while you can see the ranges afar clearly. If you wish to participate in the Short Annapurna Base Camp Trek with us, feel free to contact us. 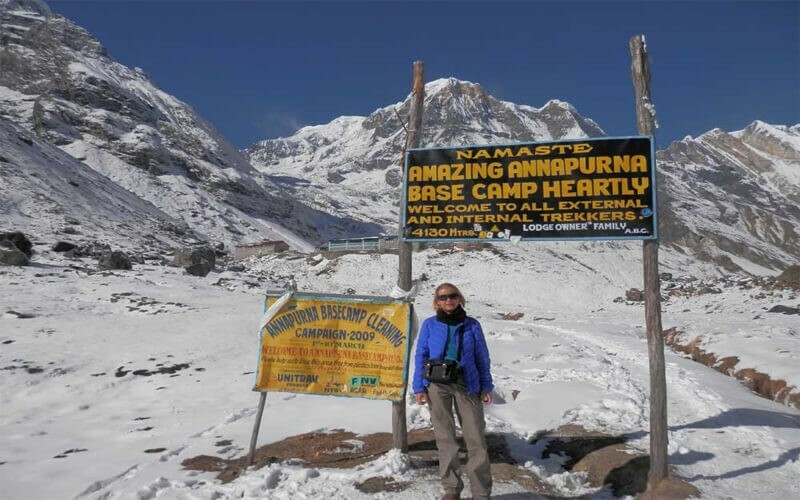 Short Annapurna Base Camp Trek is perfect for those who are short in time but want to explore the Annapurna region. This trek is one of the most illustrious programs for trekkers all around the world. 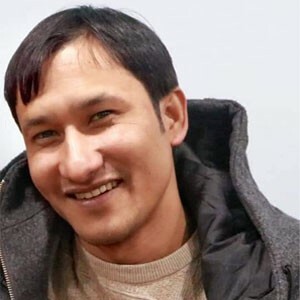 Offering you enough time to view the splendid picturesque view of the Annapurna ranges while also promising an unforgettable reception of Gurung communities, it guarantees you of a magnificent experience. Hence, this short trek to the Annapurna Base Camp will surely make you come back for more!